Aimee trained at The University of Nottingham. She qualified in July 2013 with a Masters Degree in Nursing Science. Amiee worked as a staff nurse at the Leeds Neonatal Unit prior to working at the Hull IVF Unit. 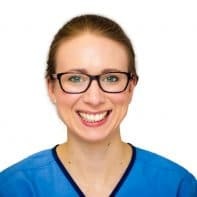 Aimee will carry out embryo transfers and is currently undertaking training in pelvic ultrasound techniques. Aimee also audits the satisfaction surveys, so is very keen to receive any comments that may help provide a better service or improve the unit, positive comments are also welcome.